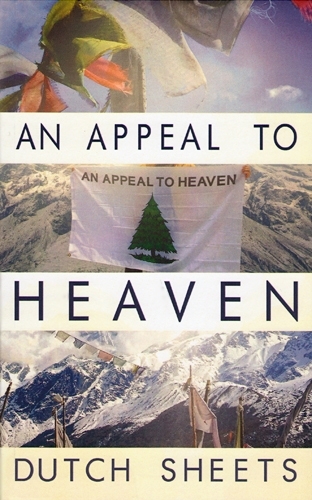 In recent days, you may have seen someone with a white flag displaying an evergreen tree beneath the phrase, “An Appeal to Heaven.” This banner has made its way into countless homes, prayer rooms, and even government buildings. The Appeal to Heaven flag holds great significance as it relates to America’s founding, God’s eternal covenants, and our present hope for this nation. In An Appeal to Heaven, Dutch Sheets takes you on a journey of discovering the role you were designed to play in America’s history. This short book is packed with powerful insights that will help you pray for America and leave you equipped to be part of her restoration. You have a role to play in this story. Are you ready to take your place? Chapter 6: Are You Ready? Dutch Sheets is a recognized teacher, best-selling author, and conference speaker. He has written more than twenty books, many of which have been translated into over thirty languages. His international bestseller, Intercessory Prayer, has sold over one million copies worldwide.